Pricing is .15 each for orders less than 100. ANY of my images can be made into postcards. The postcards are full glossy color one side, with or without any text you wish. 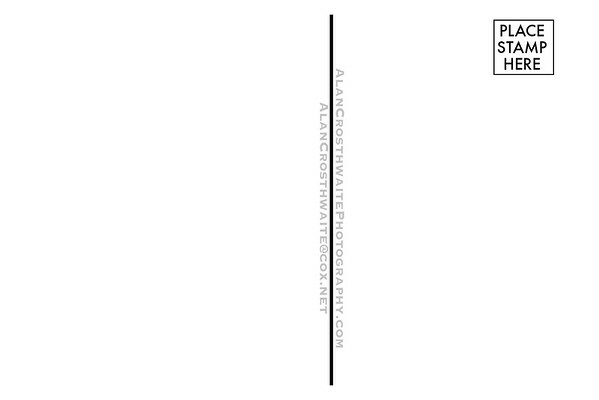 The postcard back will be black and white with my business identification as well as any custom text you wish. A minimum order is 1000 postcards and the the price is $200/1000 shipped to your door including shipping. Reorders are only $150 per/1000 at .15 each. 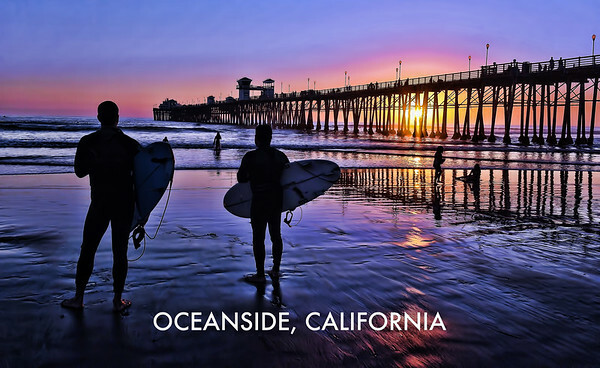 Two surfers stand silhouetted against a colorfully purple and pink sunset near the Oceanside Pier. 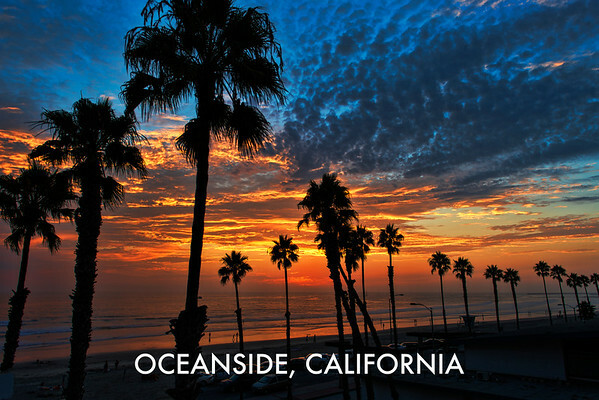 Tall palm trees and a beautifully colorful sunset in Oceanside, California, USA. 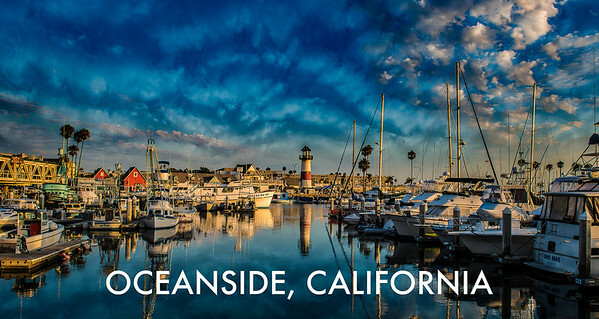 "Reflections at the harbor"- -Colorfully reflective Oceanside Harbor with dramatic clouds. 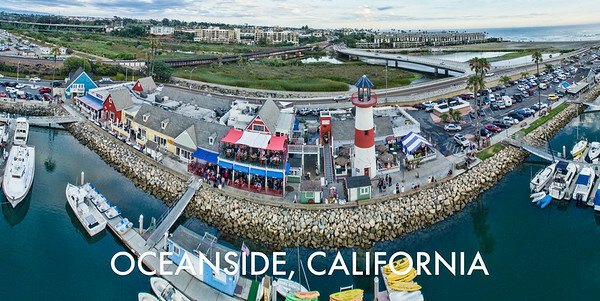 This is the Oceanside Harbor area in a unique aerial panoramic image. 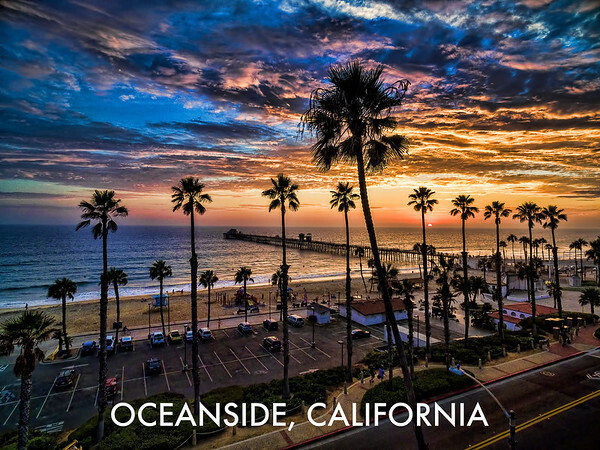 This is a dramatic aerial view of the Oceanside Pier at sunset. Tall palms are silhouetted against a colorful sky. 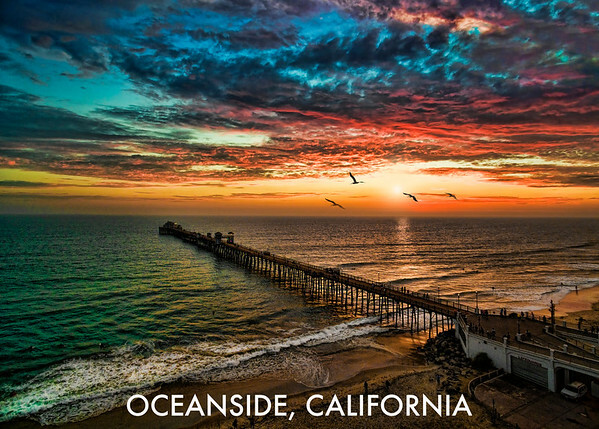 This image features a colorful sunset aerial with seabirds high above the Oceanside Pier. 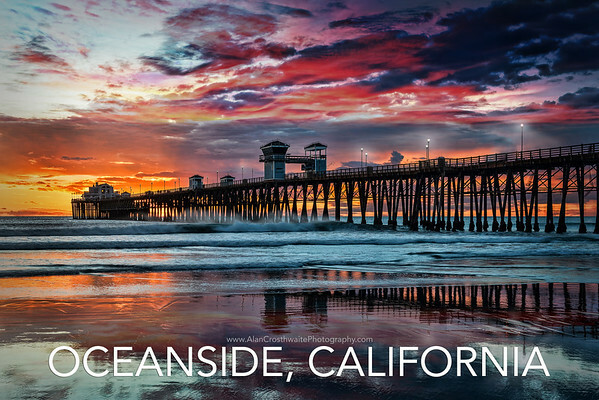 An award-winning image of an incredibly colorful sunset at the Oceanside Pier. 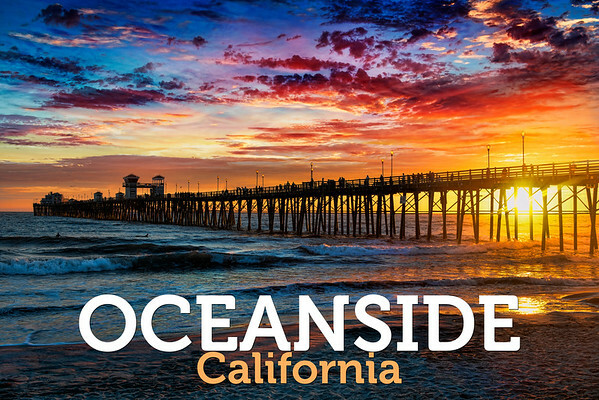 Oceanside postcard - A dramatic sunset at the Oceanside Pier. 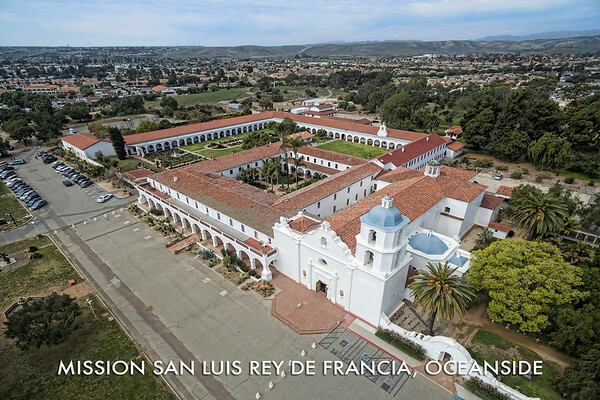 Aerial image of the famous Mission San Luis Rey De Francia in Oceanside, California, USA. 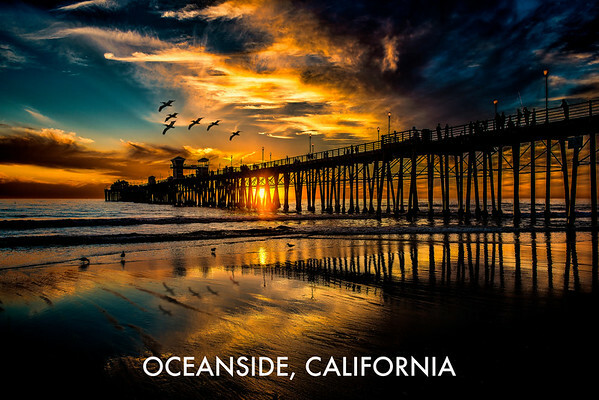 Pelicans glide past another golden sunset near the Oceanside Pier. 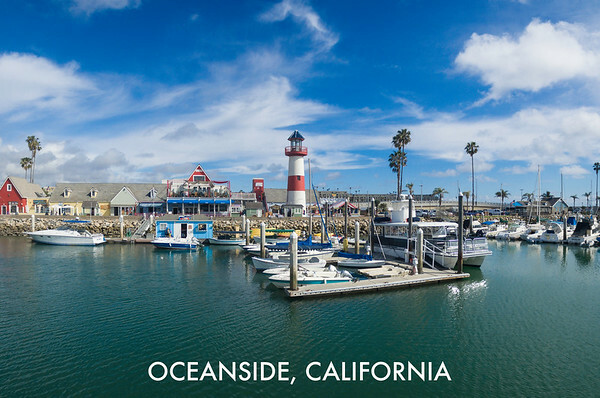 This is the Oceanside harbor with an image taken out over the water on a blue sky day with white puffy clouds. 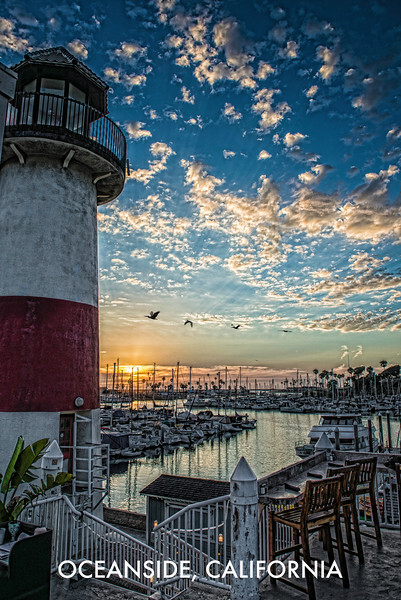 Pelicans glide past the little lighthouse at the Oceanside Harbor at sunset. 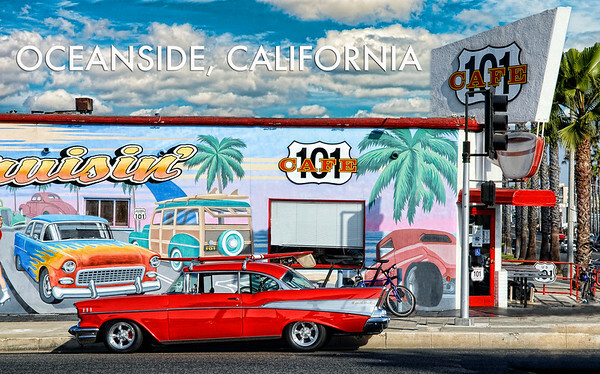 The 101 cafe is delicious, colorful, and totally retro iconic in Oceanside, California, USA. 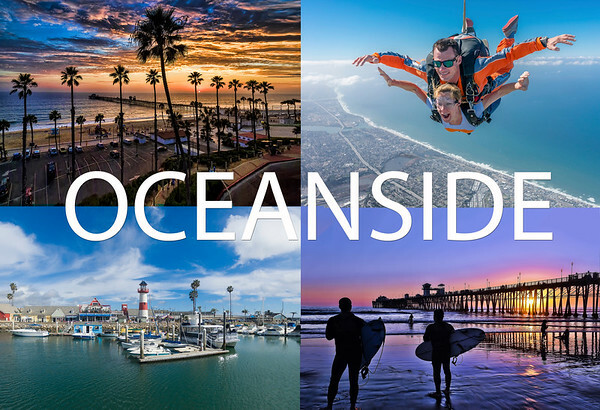 This is a stunning and fun four image composite of action activities in Oceanside, California, USA. 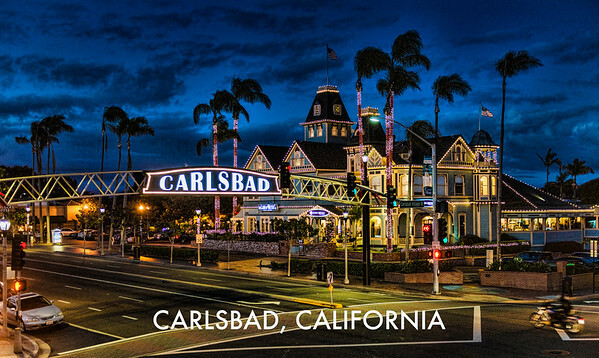 Carlsbad is all lighted up. 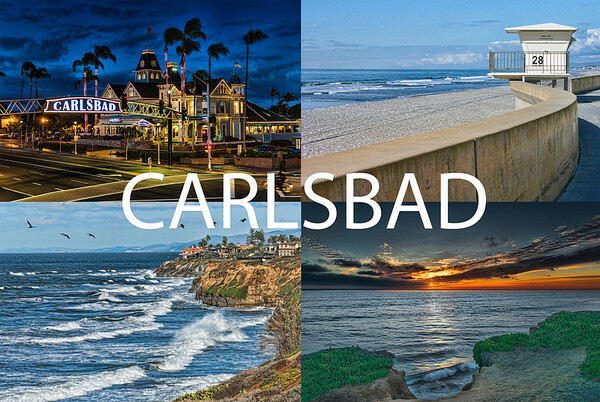 This is Carlsbad, California, USA. 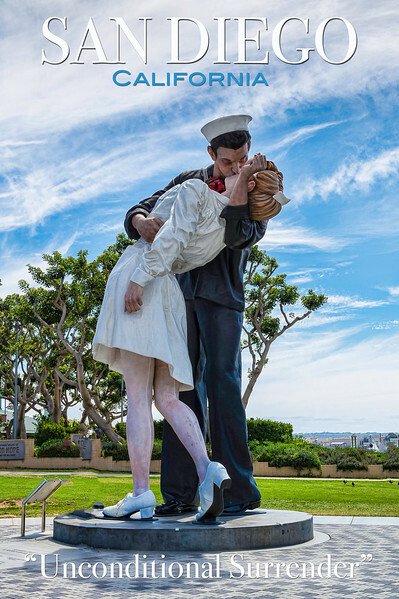 This is the iconic "Unconditional Surrender" or Kissing Statue on the waterfront just adjacent to the Midway Museum in San Diego, California, USA. 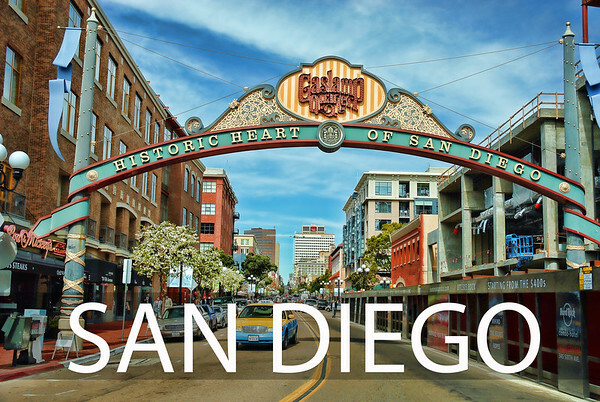 This is the San Diego Gaslamp Quarter, in downtown San Diego, California, USA. 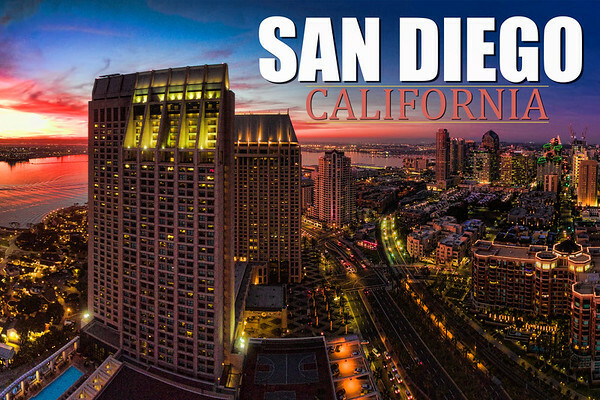 This is an aerial view of San Diego's downtown area at night. 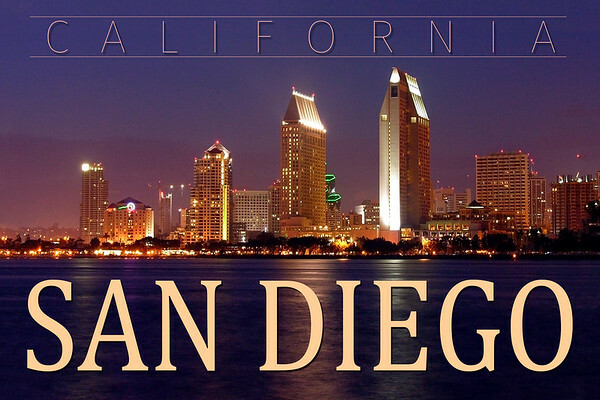 This is a nighttime view across San Diego Bay of the downtown area of San Diego, California, USA. 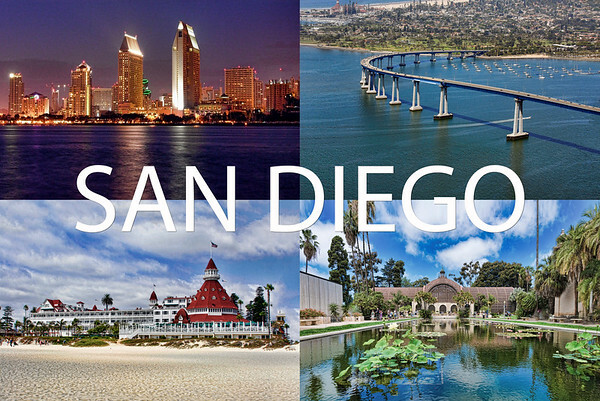 This is a fun four in one postcard with iconic views of San Diego. Upper left: downtown San Diego at night. Upper right: Coronado Bridge. Lower left: Hotel Del Coronado. Lower right: Reflection pond at Balboa Park. 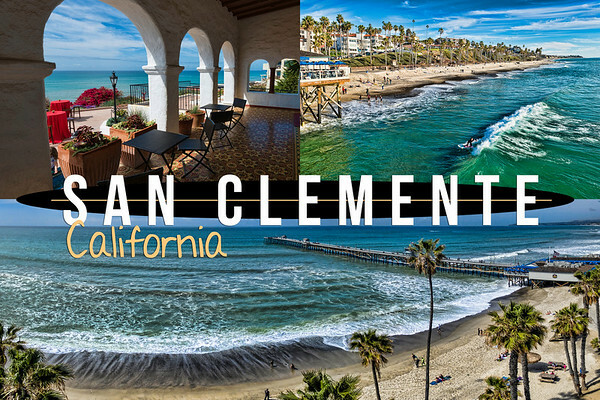 San Clemente Postcard - upper left Casa De Romantica. 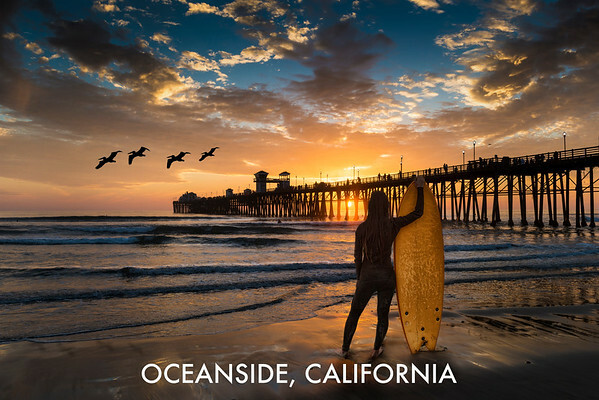 upper right and surfer enjoys a wave - lower: the iconic Pier and tall palms on a clear blue sky day. 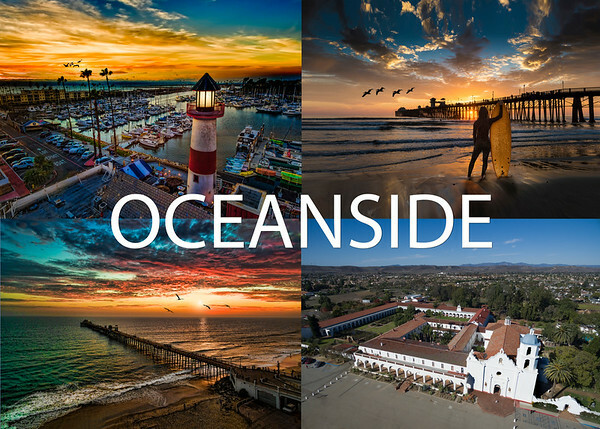 The Words "San Clemente California all atop a surfboard in the center. This will be on all postcards on the back side. For custom postcards, your business info or custom text can be applied, but the minimum order is 500.